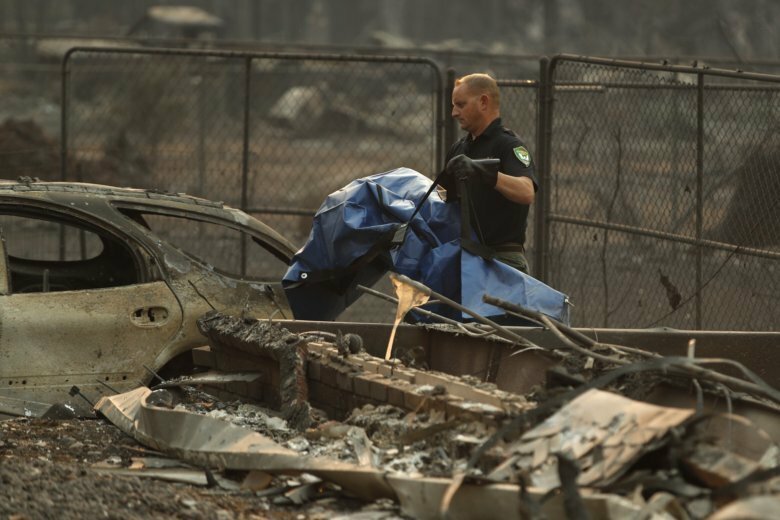 Six more are dead in a swath of Northern California wiped out by fire, raising the death toll to 29 — matching the state’s record for deaths in a single fire. Unresolved races for governor in Georgia and Florida are raising strategic questions for Democrats as they turn their attention to the upcoming battle for the White House. Mishaps, protests and litigation are overshadowing the vote recount in Florida’s pivotal races for governor and U.S. Senate. North Korea is plagued by chronic power blackouts and energy options cobbled together by Kim Jong Un that are off the official grid and some flat-out illegal. With Trump and other leaders looking on, Emmanuel Macron takes on the rising tide of populism in the U.S. and Europe and urges leaders not to turn their backs by turning inward. Crystal City, Virginia, is a thicket of 1980s-era office towers seeking new economic energy and Long Island City in New York is cultivating a new image as a hub for technology and arts. Evie Cluke coached Ian David Long on the high school track team a decade ago and she tells AP he constantly lost his temper and she witnessed him assault a fellow coach. Radical nationalists are teaching kids how to use assault rifles to kill Russians and their sympathizers and being taught to deride LGBT rights, AP learns. New federal guidelines on exercise advise starting sooner to get children active to avoid health problems later in life. That was Eagles coach Doug Pederson after Dallas’ Ezekiel Elliott ran for 151 yards and the go-ahead touchdown in the Cowboys’ 27-20 win over the defending Super Bowl champions.